Plans call for an addition to its factory, adding staff, doubling its ice cream production and pushing into other markets in the Northeast. 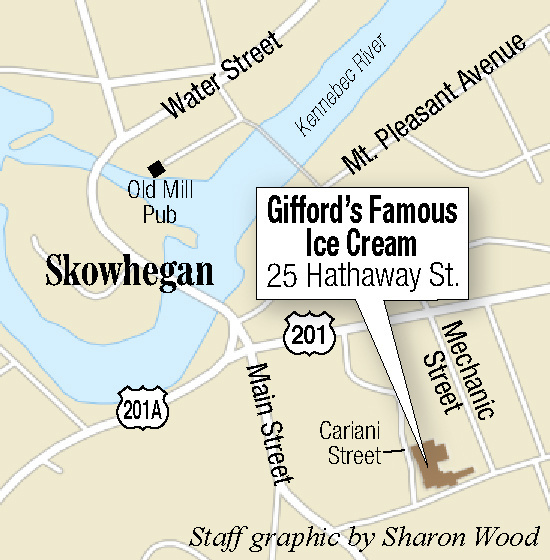 SKOWHEGAN — Gifford’s Famous Ice Cream is planning a $1.6 million expansion project that involves adding workers, building an addition onto its factory and pushing its products into other markets in the Northeast and beyond. The expansion is the largest in the company’s 41-year history in Skowhegan and will double the ice cream maker’s total production. Gifford’s expansion is well timed, given the nation’s increasing appetite for ice cream. • The average American consumes almost 22 pounds of ice cream per year. • U.S. ice cream companies made more than 872 million gallons of ice cream in 2014. • Sales of ice cream and frozen desserts rose 2.1 percent to $5.4 billion in the 52 weeks that ended Aug. 10, 2014, over 2013 sales. • Vanilla remains the favorite flavor, but German Chocolate Cake, Black Raspberry Krunch Sundae and Hawaiian Wedding Cake Ice Cream were named the most innovative ice cream flavors for 2015 at IDFA’s Innovative Ice Cream Flavors competition. John “JC” Gifford Jr., vice president for sales, said production this year is expected to top 1.9 million gallons of ice cream. 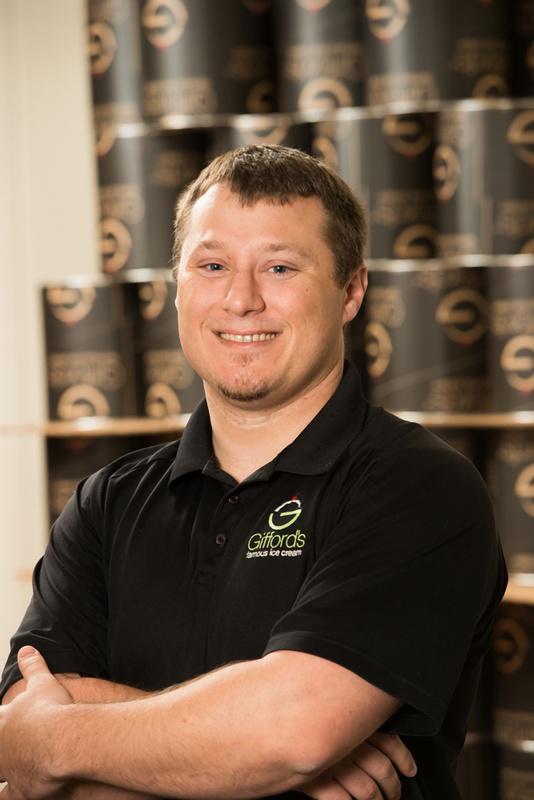 In August, Gifford’s hit an all-time sales record with a 12.4 percent sales increase of its quarts and premium bulk flavors — 10 percent above the industry average. The expansion at the company’s Hathaway Street plant in Skowhegan will create additional floor space and allow Gifford’s to bring in two more large steam kettles, a new quart filler and a new shrink wrapper for retail packaging. These additions will allow the ice cream maker to run two production lines simultaneously. Cory King, executive director of the Skowhegan Area Chamber of Commerce, said he hopes other area businesses take note of the investment Gifford’s is making and realize the potential of Somerset County and Skowhegan in particular. The company plans to hold a special “ice cream scooping” event Friday instead of a more traditional ground-breaking to mark the beginning of construction for a 3,810-square-foot addition and plant renovations. On hand for the ceremony will be two generations of the Gifford family, U.S. Sen. Susan Collins and a representative from U.S. Sen. Angus King’s office. 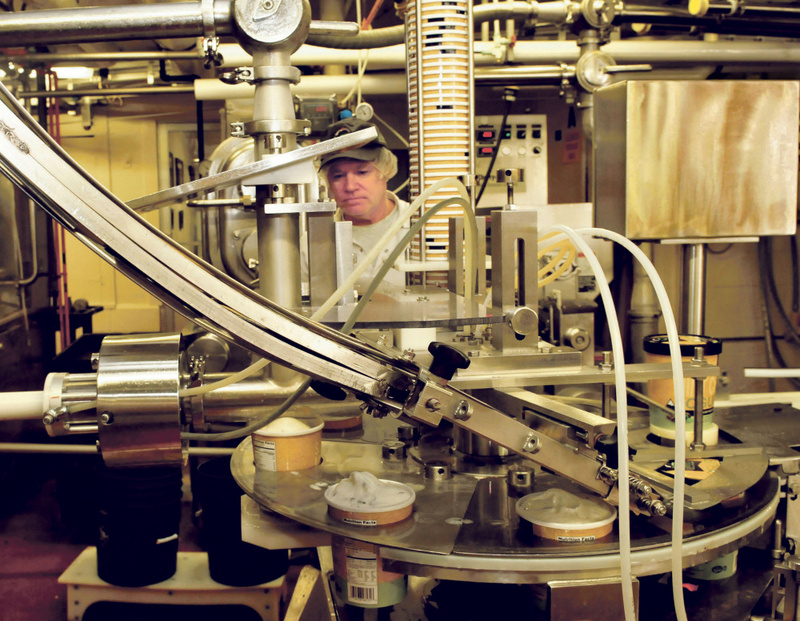 Gifford’s makes 90 percent of the base products and the “ripples and ribbons” for its ice cream flavors itself. The expansion will make the company more efficient in how it makes its ice cream, so it can make more faster, JC Gifford said. 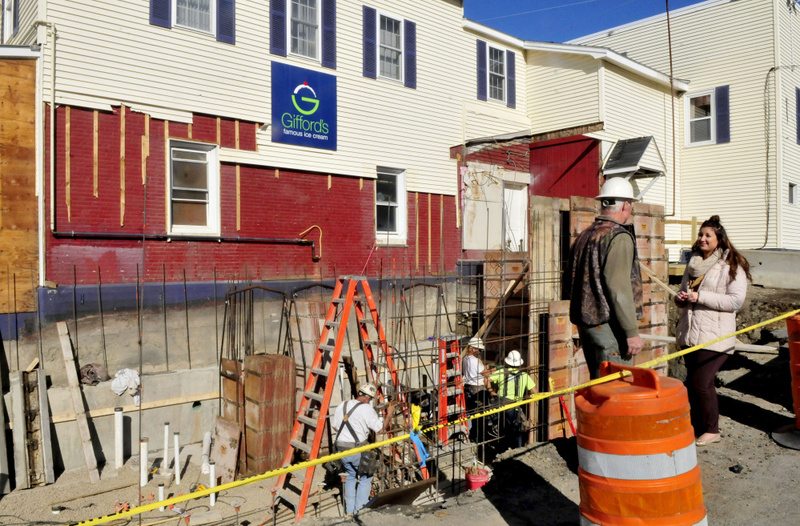 Skowhegan Town Manager Christine Almand said Gifford’s pays just under $30,000 in taxes per year, but she would not venture a guess how much the expansion will affect the local tax base once the project is completed. Jeff Hewett, Skowhegan’s director of economic and community development, said the expansion’s biggest effect will be to help Gifford’s grow and make its existing jobs more secure. “They have been one of the cornerstones of Skowhegan’s economy for many years and will be for many years to come,” Hewett said. 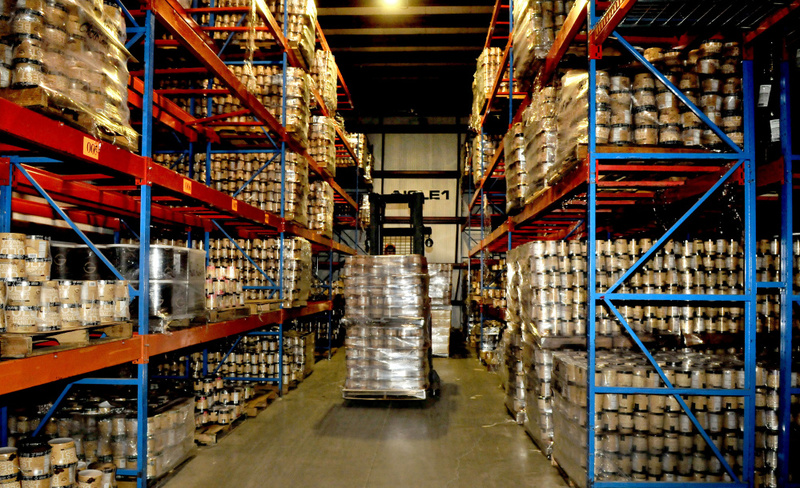 Gifford’s ice cream is distributed to about 1,000 retail outlets throughout New England and as far south as northern Virginia and east to upstate New York and Indiana. The company sources its fresh milk and cream exclusively from independent family farms. All of Gifford’s Famous Ice Cream is made using antique 1940s Cherry Burrell freezers to slow-churn the most delicious, creamiest ice cream possible, according to the company, all in the historic yellow clapboard factory in Skowhegan. The company remains privately owned and is operated by fifth-generation Gifford family members. The company, which employs 37 full-time workers, hopes to add at least two full-time employees by next summer as part of the expansion. Gifford’s also operates five ice cream stands in Maine and makes more than 100 flavors of ice cream. Among the top selling flavors are Old Fashioned Vanilla, World’s Best Chocolate, Black Raspberry Chocolate Chip Low Fat Frozen Yogurt, and its signature flavors inspired by Maine tradition: Moose Tracks and Muddy Boots. Gifford said the company has been winning ice cream flavor awards for the past several years, including grand champion the past five years. This year the winning flavors were Gifford’s vanilla and vanilla bean. In previous years the winning taste was Gifford’s chocolate ice cream. In 2015 the company celebrated anniversaries at two ice cream stands in Maine. Gifford’s stand in Waterville turned 25 and the one in Skowhegan turned 35. The Skowhegan factory dates to the 1930s, when it served as a holding station for local farm milk that was shipped to Boston. In 1974 the building was purchased by the Gifford family from Hunt’s Dairy and was run for many years as a milk company. In 1980, continuing a longstanding family tradition, the Gifford family started making ice cream in a corner of the milk plant. Three years later, the Giffords sold the entire fluid milk business to Oakhurst Dairy and went solely into making premium ice cream. The contractor for the expansion project is E.W. Littlefield and Sons, based in Hartland. The project’s anticipated completion date is April 2016. The company is considering a second phase to the expansion project that would allow it to add a second state-of-the-art hardening system to the new space.